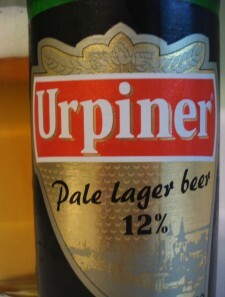 This entry was posted in beer reviews and tagged lager, pilsner. Bookmark the permalink. RE Stephen, assuming complete attenuation. Most yeast strains five you around 72-76& attenuation, which means that the 4.8 is closer to 3.6% alchohol. And then, that’s by weight, and you want by volume, which would be another conversion. But if you follow Stephen’s advice, then take about 3/4 of the result, I think you should be close. P.S.> While in Montreal, did you visit Le Cheval Blanc? Devo – we didn’t make it to Le Cheval Blanc on our latest visit, but I’ve been there a couple of times before on previous visits.